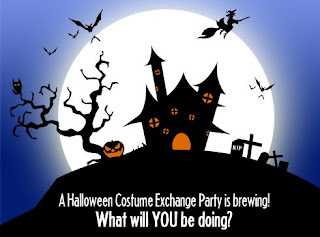 Accessory Geeks is sponsoring this costume exchange party. Bring a gently used costume ages infant to 12 years old to exchange for another. There will be face painting, a jumper and a temporary tattoo station. For more information, visit www.accessorygeeks.com.